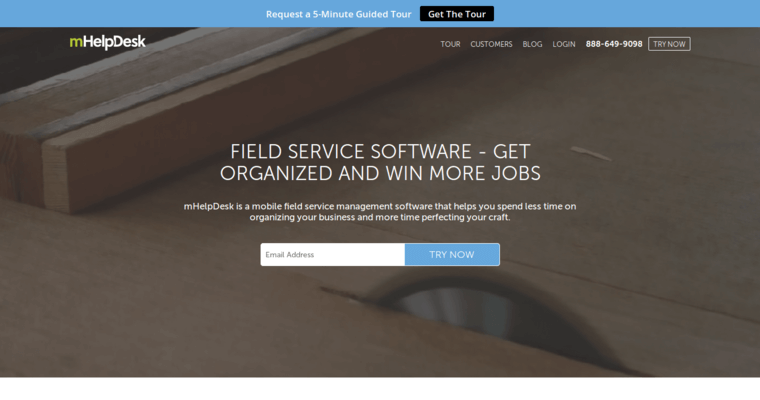 mHelpDesk is a CRM system for field service companies, featuring industry-specific modules for carpet cleaners, home inspectors, pest control, lawn care, facility managers and other businesses that need to quote, work, invoice and process payments remotely. 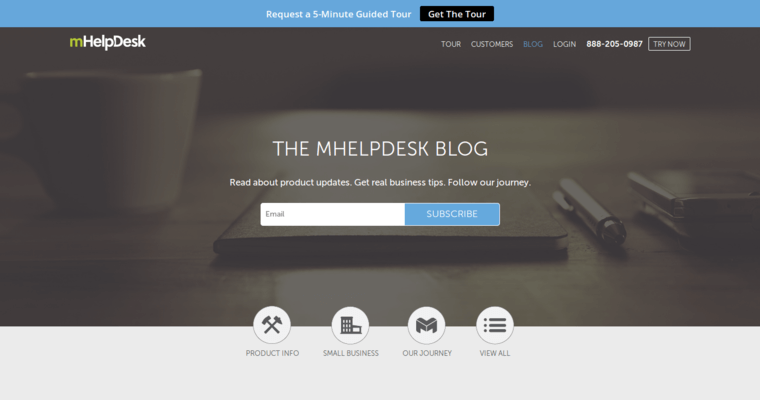 The mHelpDesk system is a monthly subscription cloud-based SaaS which supports either iOS or Android smartphone apps in the field. Functional mobile features include estimates and quotes, workflow and job management, inventory management, and payments. 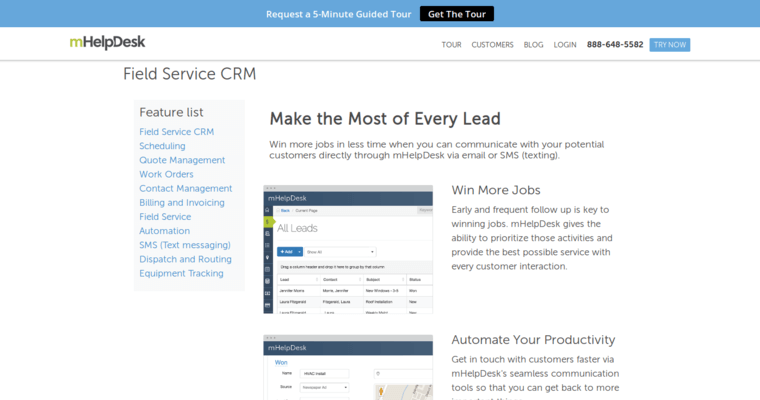 Office functions include lead management, scheduling, dispatch, and GPS vehicle tracking. The mHelpDesk system offers pre-written reports for both general and industry-specific information. Users single out its intuitive layout and ease of use, as well as its integrated functionality. At present, mHelpDesk offers English-only versions. Training is provided through both webinars and online training. Pricing starts at $169 per month, but deployed pricing is quote-based and depends on business requirements.